Warner Bros.’ latest animated DC movie, Batman and Harley Quinn, is set in a world where Harley has turned her back on the Joker, only to be roped into the world of capes and costumes once more to help Batman save the world from Poison Ivy. But before the movie drops, a new comic wants to show the journey Harley took to becoming her own self. 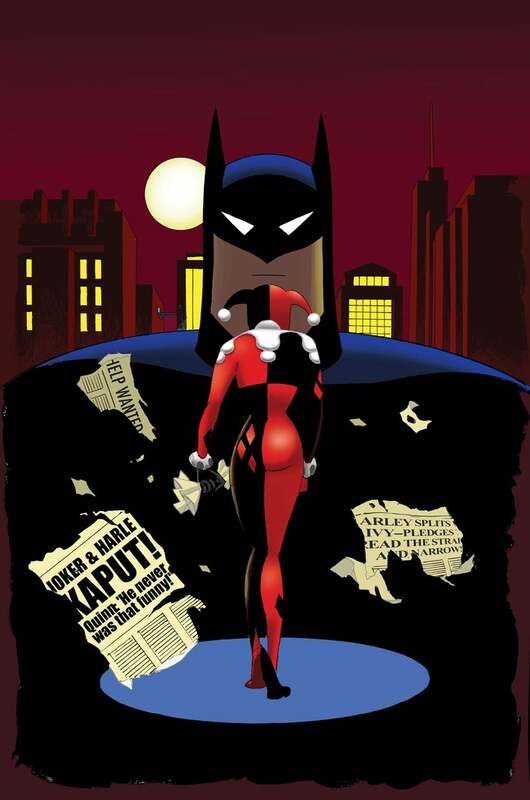 Starting at the end of the month, Ty Templeton and Rick Burchett’s five-part digital series Harley Quinn and Batman will chart the events before the movie, and follows Harley as she come to terms with the fact that the Joker only sees her as an unwitting sidekick, taking the chance to strike out as her own self-styled supervillain. After the Batman and Harley Quinn animated movie releases, the series will change its name to match in October, becoming a 7-part anthology series that picks up where the movie left off, with stories from a whole roster of writers and artists beyond Templeton and Burchett joining in on the fun. It’s pretty unprecedented to see one of DC’s animated films get the comic book treatment like this—but then again, it is Harley and Batman, two of the most popular DC characters around, back in the beloved style of the classic animated shows, so maybe we shouldn’t be surprised that Batman and Harley Quinn gets special treatment.